One of our business centre managers is getting ready to prove he’s a real superhero, by driving 1,500 miles to raise money for a children’s hospice. 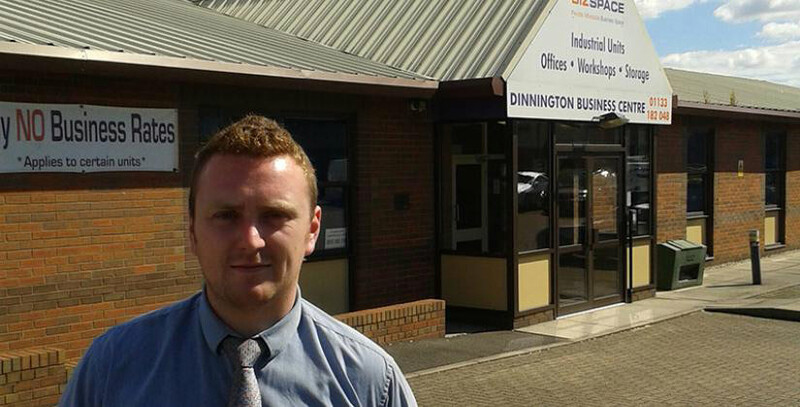 Connor Johnson, aged 23, is Cluster Manager for South Yorkshire and is responsible for our three Sheffield centres – Dinnington Business Centre, Baltic Works and Cricket Inn Industrial Estate. In June he will be taking part in Benidorm or Bust, a rally in which teams drive old bangers and classic cars from a secret location in Dover all the way to Benidorm on Spain’s Costa Blanca. Connor will be accompanied on the trip by two friends – Tom Millington and Tim Laver – and the trio will be dressing their car up as the Batmobile and wearing Batman, Robin and the Joker costumes. More than 150 cars will be taking part in the four-day event in which teams complete challenges, compete for prizes and raise money for their chosen charities. Last year’s Benidorm or Bust raised more than £120,000 for good causes. We have chosen Bluebell Wood, who are local to Dinnington, as our charity because they do so much for children and families across our region and helped my partner’s family out massively too. The team is hoping to raise at least £500 and anyone wanting to donate can do so via their Just Giving page. They will start their mammoth journey on 8th June 2016 and hope to arrive in Benidorm on 11th June. Connor started working for Bizspace in March 2014 and managed to achieve full occupancy at Cricket Inn Industrial Estate in his first three months in the job. Before he took the job, he worked in a number of sales roles and his selling experience has helped him when it comes to signing up new tenants and explaining the benefits of renting business space at our centres. He also led a refurbishment of Dinnington Business Centre, giving the centre a brighter, fresher colour scheme to make it more attractive and welcoming to customers. The main building includes 27 offices in a range of sizes, making them ideal for small and medium-sized businesses. There are also 17 free-standing commercial units with direct access and space to load and unload. To find out more about any of our Sheffield business centres, email or call Connor on 01909 281421.